Today it’s all about tools! 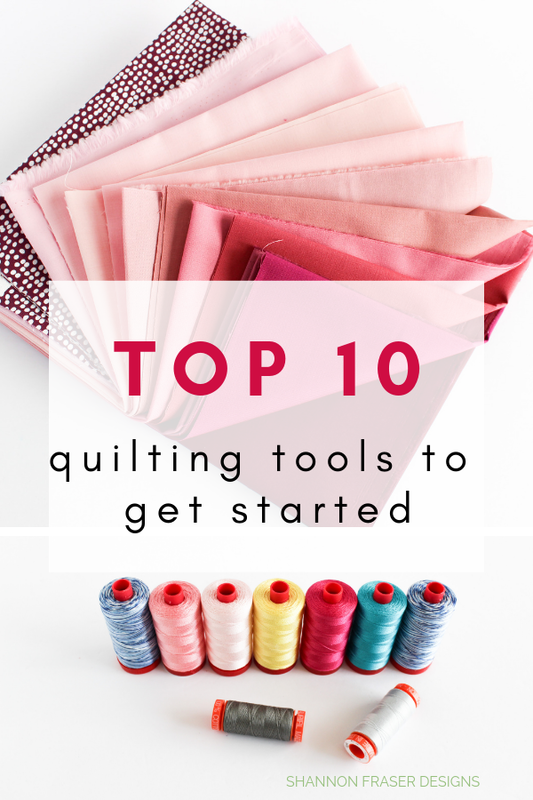 A couple of my modern guild member’s and I were interviewed about our quilting community a few weeks ago, and one of the questions that popped up was “what are the top tools to get started quilting”? There are so many gizmos and gadgets out there that it can be a little daunting to know which ones to invest in. 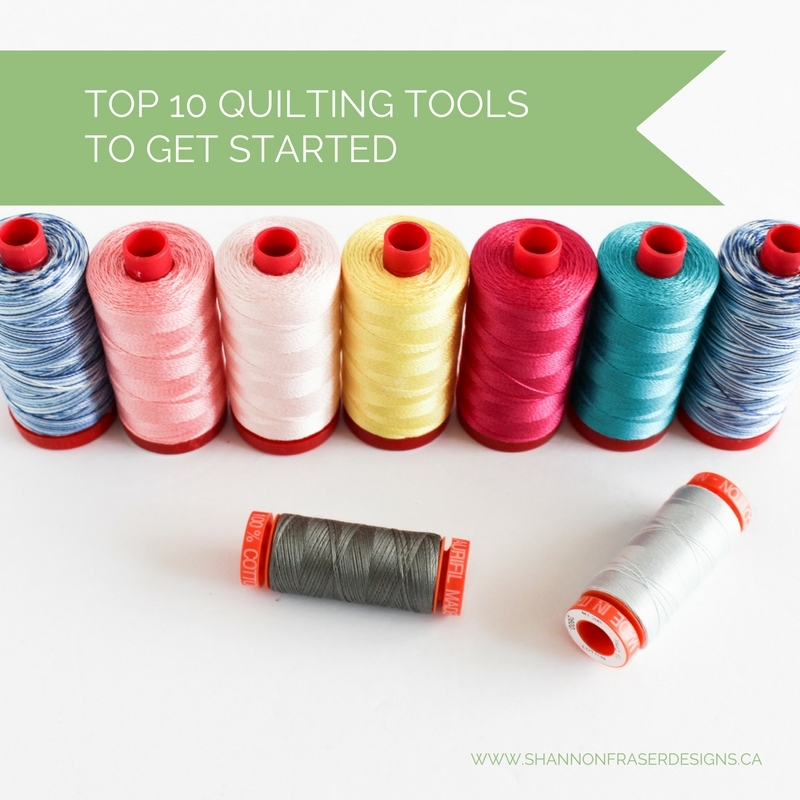 So I thought I would share my top 10 basic quilting tools to get started with all things quilty! 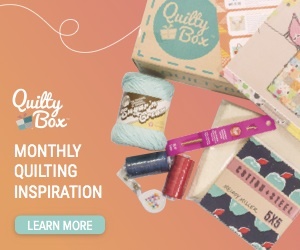 For anyone new to quilting, don’t feel you need to invest in a top of the line sewing machine. 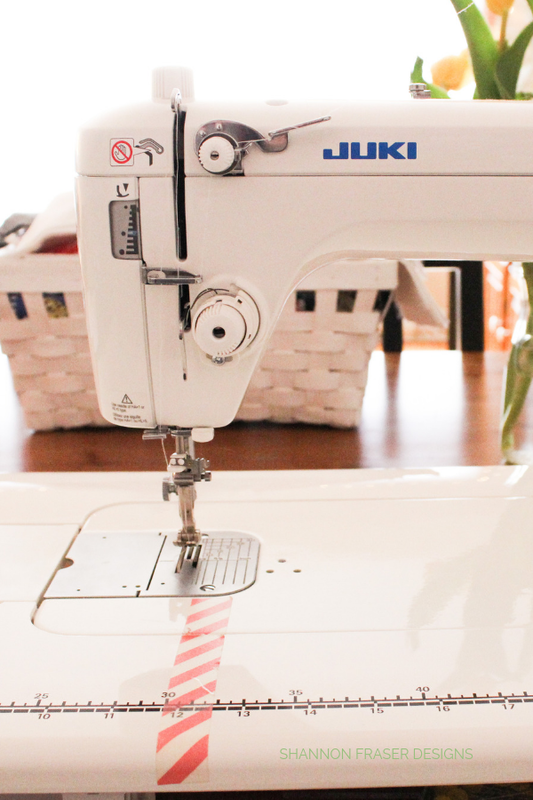 I started sewing on a very basic domestic machine. It was gifted to me several years ago by my hubz when I was bit by the sewing bug. Since I was just starting out, we focused on entry level machines and settled on the Singer Inspiration. That little machine was a total workhorse! 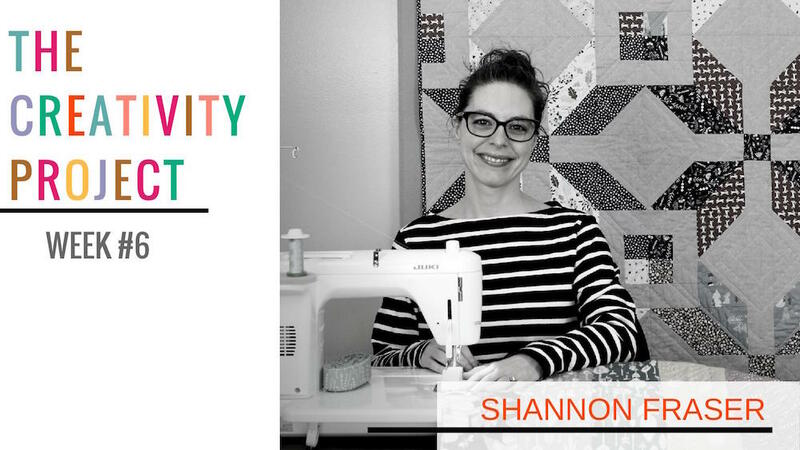 I’ve lost count of the number of projects I have made with her and she’s still in my sewing tools repertoire. The problem I ran into was that the harp space (aka the throat of the machine) was too narrow for the larger quilts I wanted to work on. It was literally a physical struggle to push and maneuver so much fabric through such a tiny slot! After spending well over a year researching machines, I finally upgraded earlier this year to the Juki TL-2010Q. And boy do I LOVE her! I will write a more in-depth review for you at a later date (full review available here), but for now, suffice it to say I’m in love! 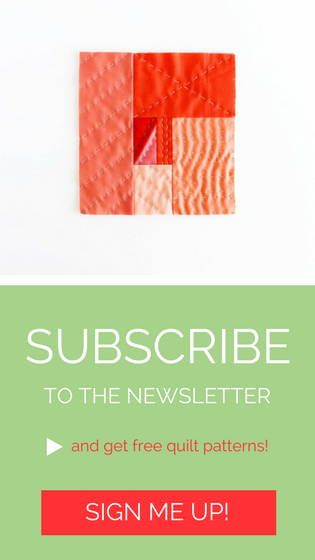 Technically two things here, but they go hand in hand so I’m pairing them up in my list! I’ve actually had unfortunate luck with my self-healing cutting mats, in that they don’t seam to heal?! I started off with a Unique brand mat and have developed such deep grooves where the “healing” material has been worn down that my rotary blade actually gets caught in them. My mum gifted me the Olfa Rotary Cutting Mat which has been awesome (although it doesn’t spin as easily as I’ve seen other models). This shouldn’t be an item that gets replaced often, so invest wisely here. 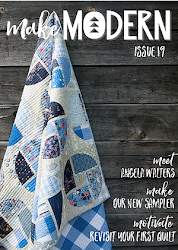 A seam ripper is a necessary evil in any quilter’s arsenal. It’s a great tool, but one that I really dislike having to use! 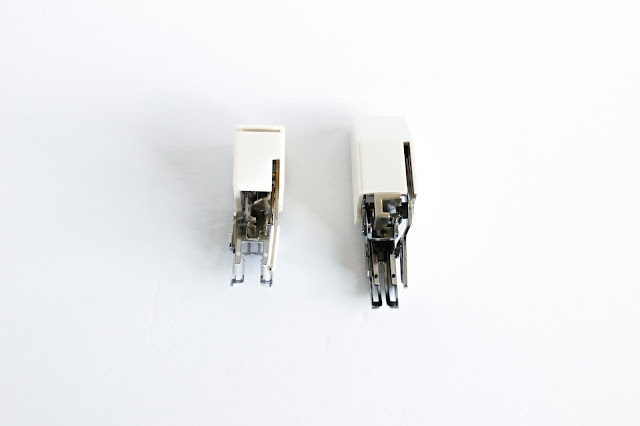 I have a combo of both straight pins and these cute Wonder clips. For piecing, my go to are the straight pins. 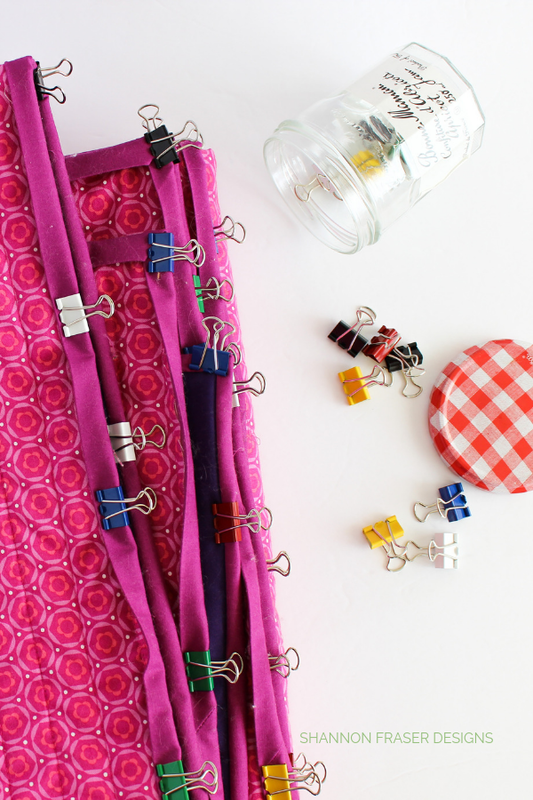 They are way more accurate for this step, but once it comes time for quilt binding the clips (or even binder clips, which is my go-to) work wonderfully. Update - I now can't live without a Kwik Klip to help save my hands while closing all those safety pins. 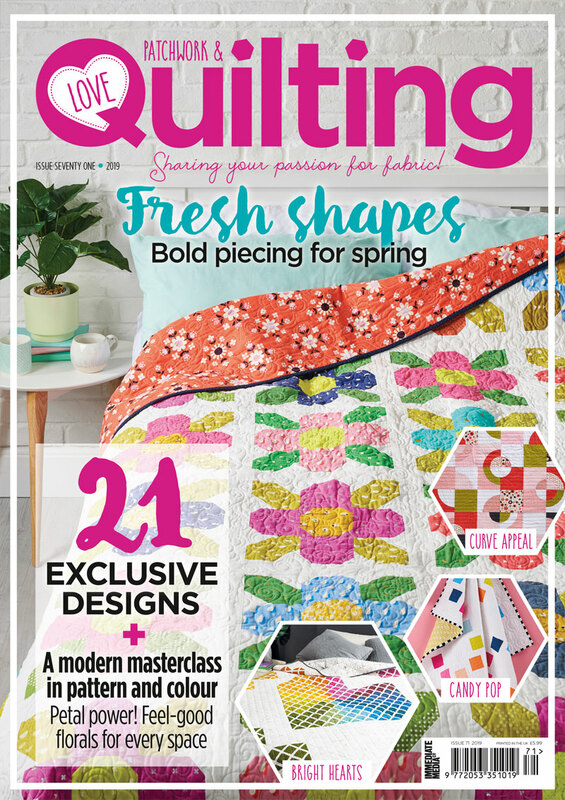 Highlight recommend adding this to your quilting repertoire too! Quilt shown is the baby Irish Vortex quilt - find the pattern here. Markers – such as the Pilot Frixion markers which come off when you rub them or pass over them with an iron. Be warned though, these markers can bleach your fabric and the lines have been known to reappear in cold weather, which is not ideal when living in Montreal where it gets to be -30 in the winter! 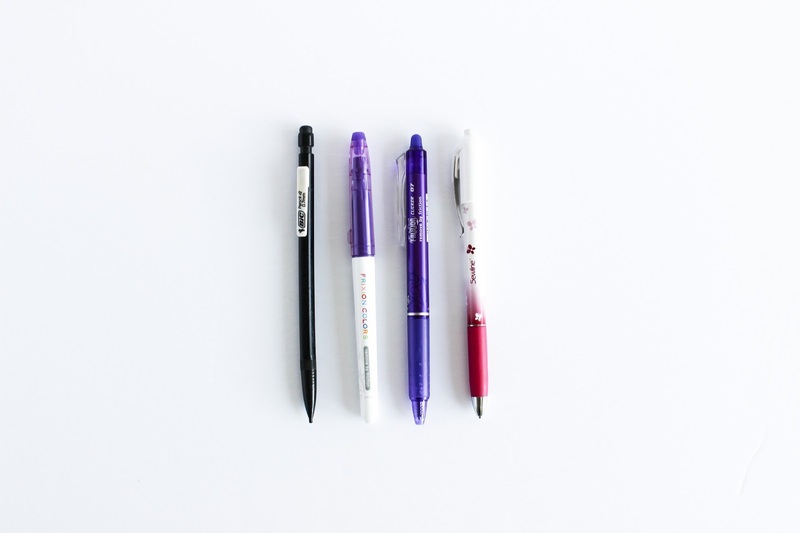 Pens – for those thin precise lines (i.e. I’m looking at you hexies!!) I’ve been using my Pilot Frixion pen. White Pencil – this one is perfect for darker fabric. 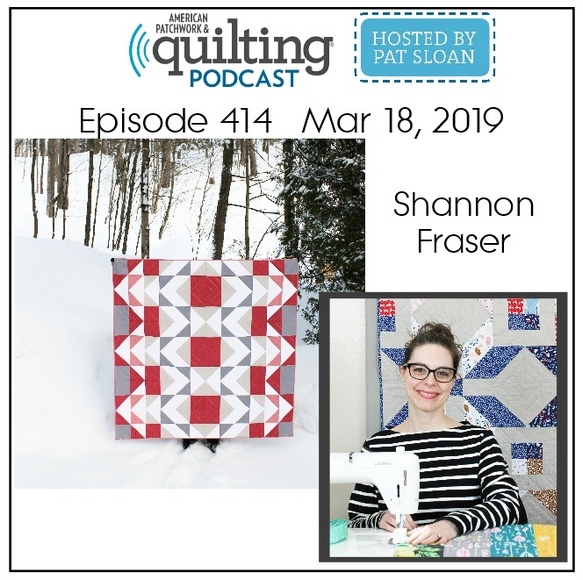 There is a ton of ironing involved in quilting. 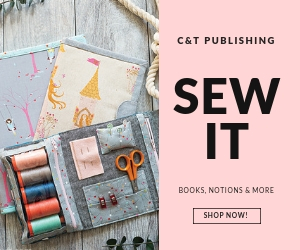 It will revolutionize the outcome of your blocks and make it easier to piece everything together if your fabrics are nice and flat. 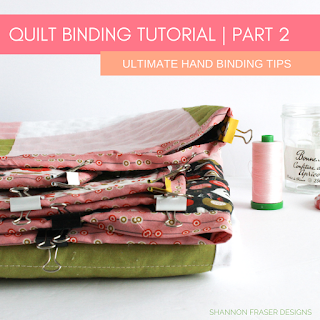 This is also important before cutting into your fabric too! 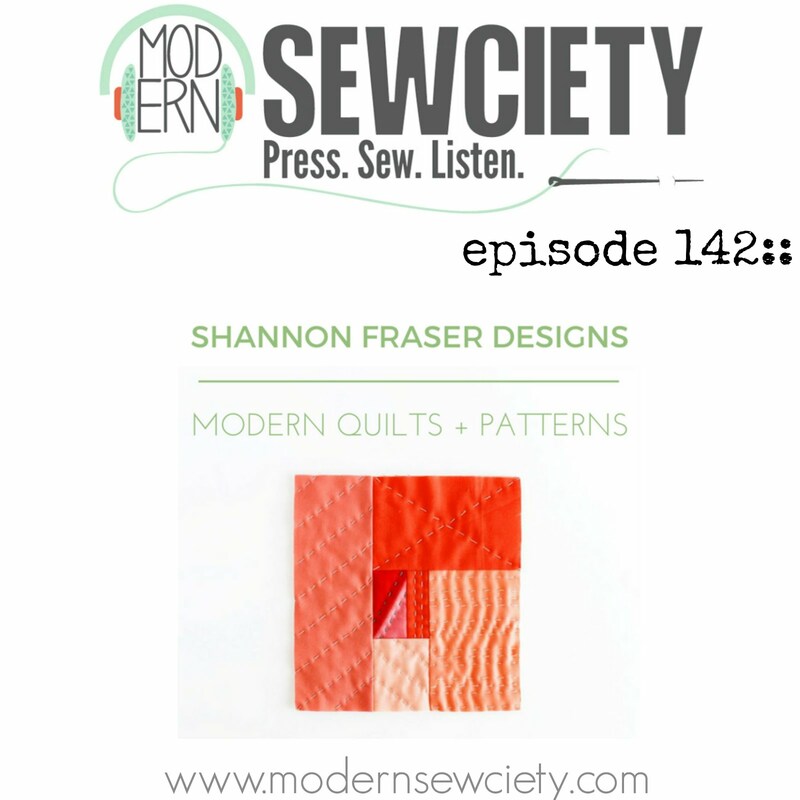 Based on many discussions with fellow quilters, we all seem to have our preferences. 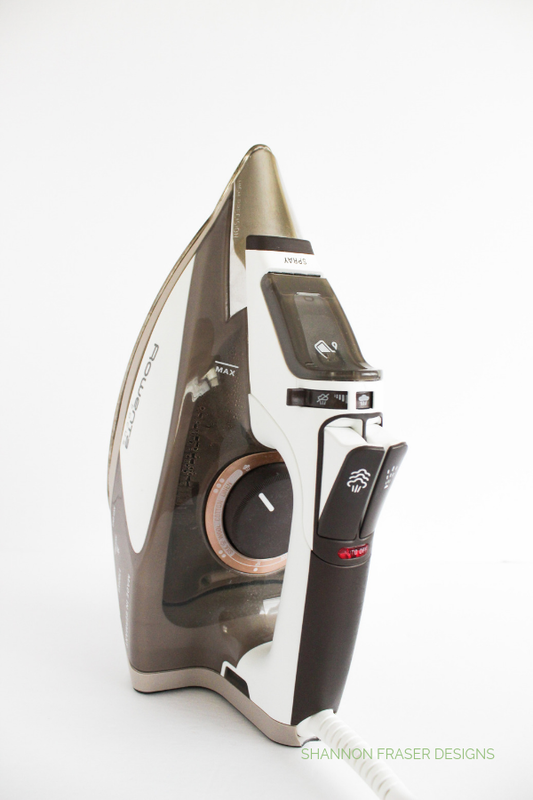 I’ve heard the good, the bad and the ugly about most irons on the market. 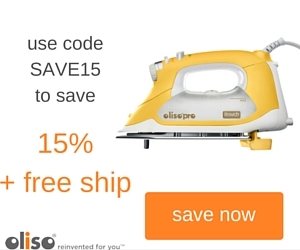 What I would recommend focusing on is how hot the iron gets and the steam capability. I love my Rowenta, but they are known to leak after awhile, which mine did after about 5 years of constant use. I’ve heard wonderful things about T-Fal and Black & Decker, although my experience with the latter was a bust, which you can read about here. There is a plethora of rulers out there to choose from and it can be a little daunting to know where to start. I would recommend two initial sizes to get started. The first is a 8.5” x 24” ruler. 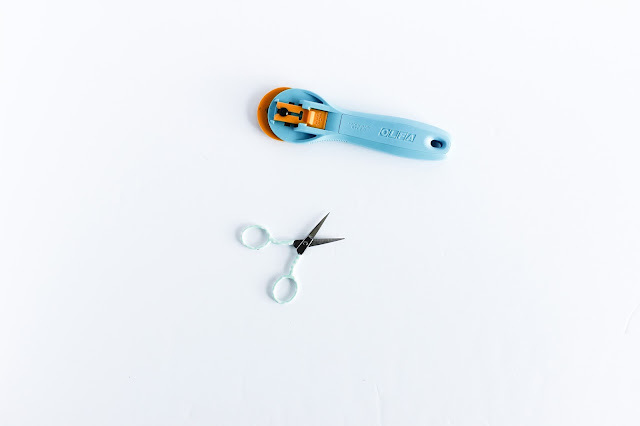 This is perfect for squaring up your fabric, cutting WOF (width of fabric) strips and is helpful for squaring up your quilts. The smaller 6” x 12” works great for sub-cutting strips, trimming and general cutting. I’ve been slowly adding to my collection as I explore new projects (e.g. the Hex-N-More ruler which I picked up for the Weight of Love quilt. Here's a tutorial on how to use it too!) But keep it basic to start. John James Gold’n Glide Quilting needles No 9 – were my go-to for hand binding my quilts. I've since started using these straw needles, which seem to glide through my fabric more easily. 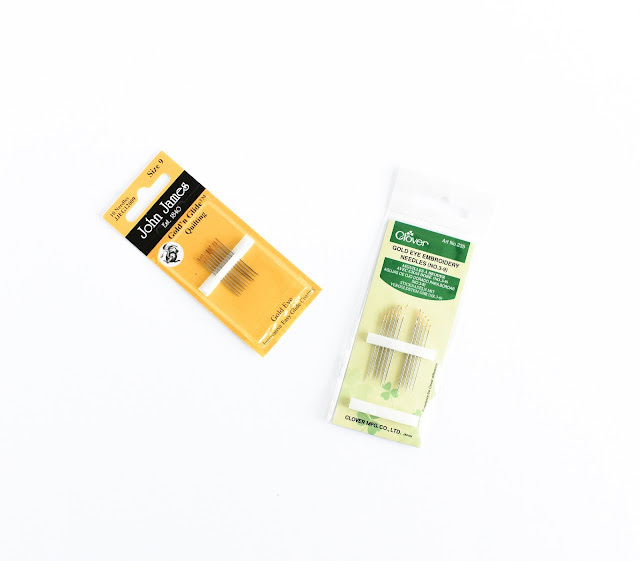 I use Clover Gold Eye Embroidery Needles when I’m big-stitch hand quilting with Aurifil Thread 12wt or, my new favourite, pearl cotton thread in size 8 (here's a post on where to find those). But, so long as you have a sharp point and it feels good to you, you should be good to go. Since I got my Juki, I’ve been using Schmetz Universal needles. It was what was recommend and I’m playing around with sizes 80/12, 75/11 and 90/14 to see which works best for me. 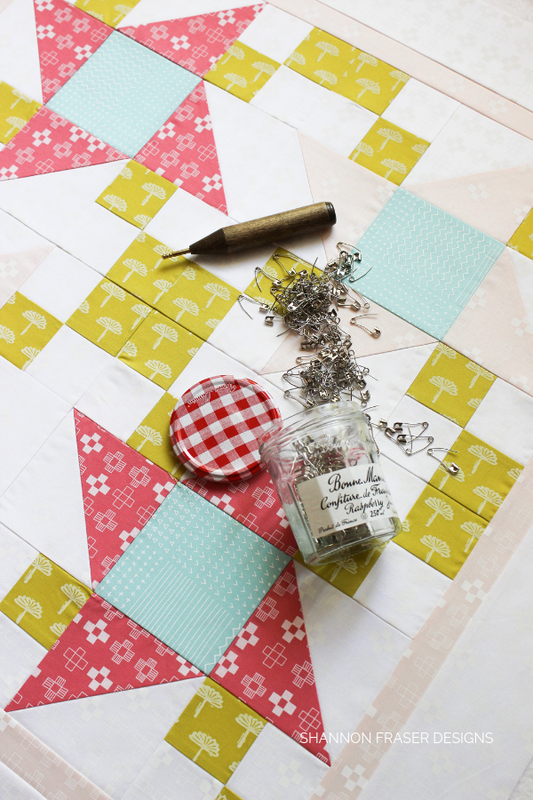 I've been loving the mixed packs for 75/11 for piecing and 90/14 for quilting. 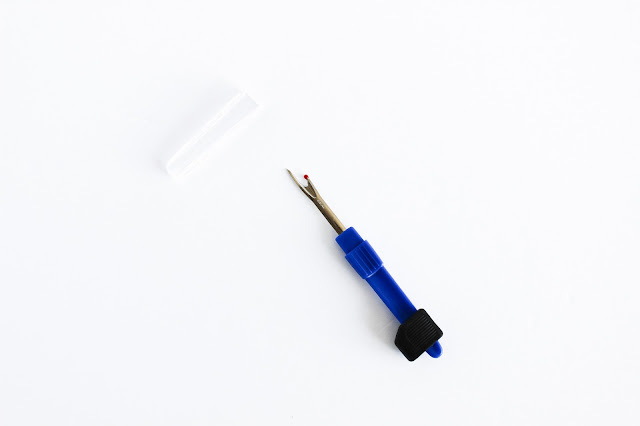 Regardless of which needles you select, what I would recommend is changing your needles frequently as it makes piecing and quilting much more effective when you have a nice sharp needle. My rule of thumb is to change my needles every 3 bobbin changes. 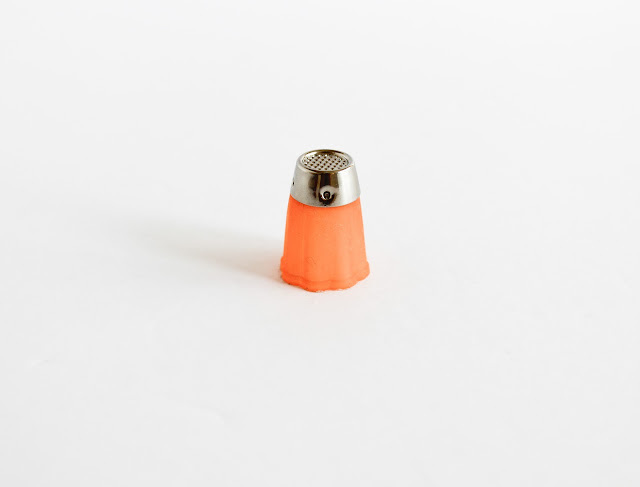 As for thimbles, I really dislike the metal ones. My fingers get too sweaty! This cute rubber one was my fave for the longest time. Since I started big stitch hand quilting more of my quilts, I've changed to this leather thimble. 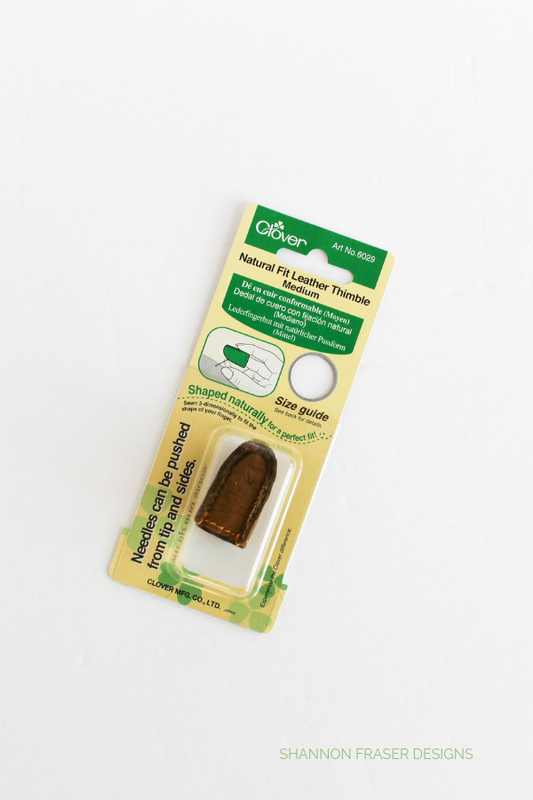 It molds to the shape of your finger, is nice and thick to prevent your needle from popping through (not the case with the rubber one) and is beyond comfortable (as in, I've walked around doing house chores with it on because I forgot I had it on!). 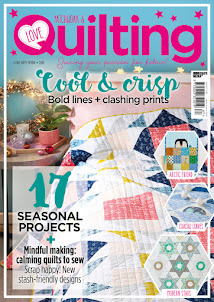 A walking foot will make a world of difference in your top quilting! It essentially ensures that all of those layers are passing through at the same time without getting bunched up or puckering underneath. Trust me, it works. My Singer didn’t come with one, but my Juki did. They are easy to find and I would recommend shopping around to find the best deal. This is entirely up to you! 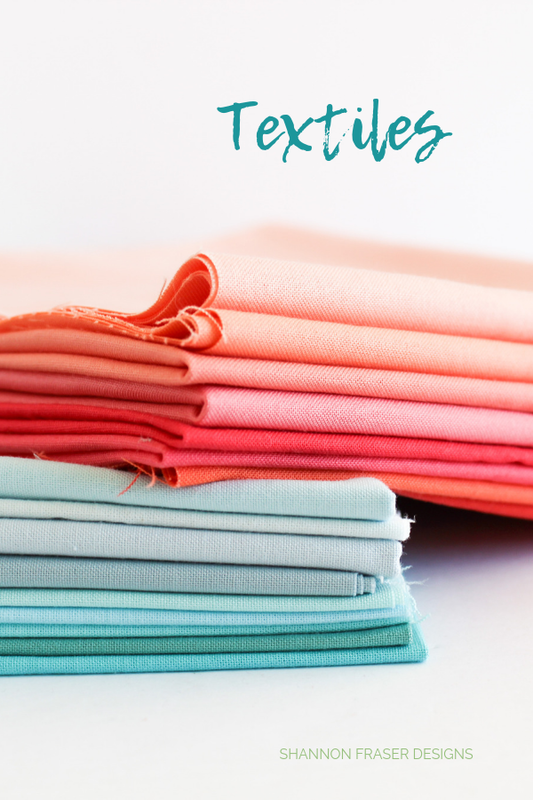 I love the fabric and thread selection process. It’s amazing how different a project can turn out just based on the fabric you select and the thread you pair it with. 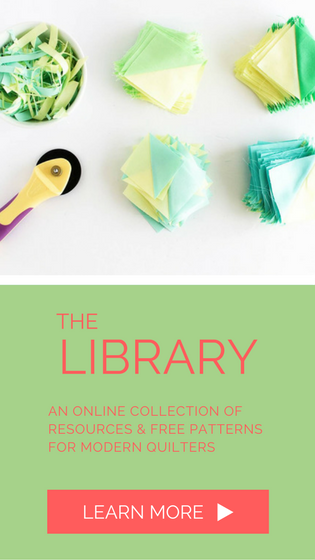 It took me awhile to figure out where to find my favourite fabrics. 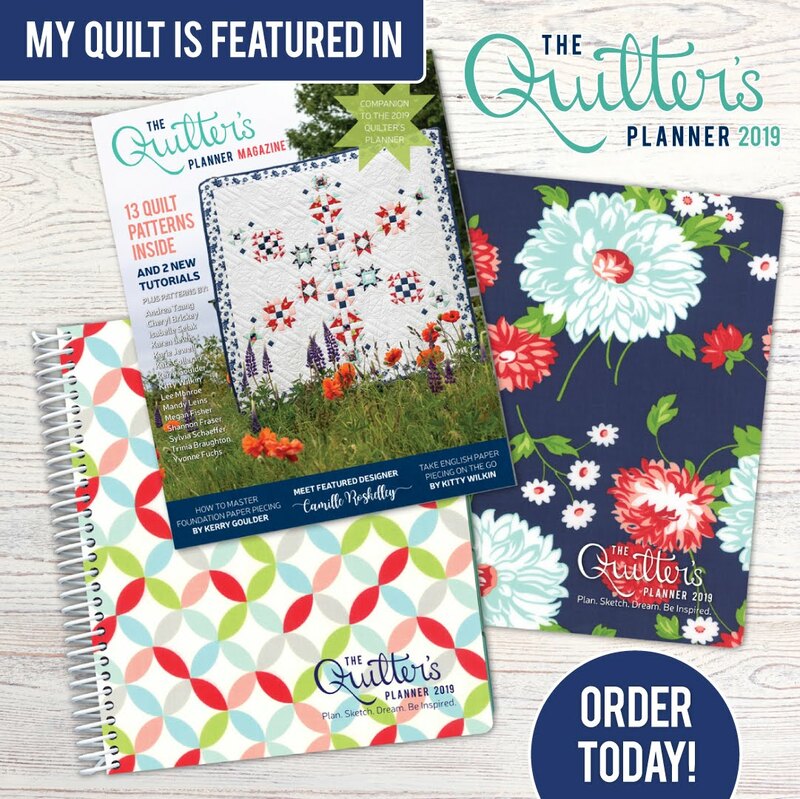 So, I put together a Fabric Shopping Resources - Top 35+ Fabric Stores for Quilters to help you out. On the thread front, what I will say is to invest in quality thread. I didn’t always get this when I first started out, but then I read somewhere that thread is what keeps your projects together. 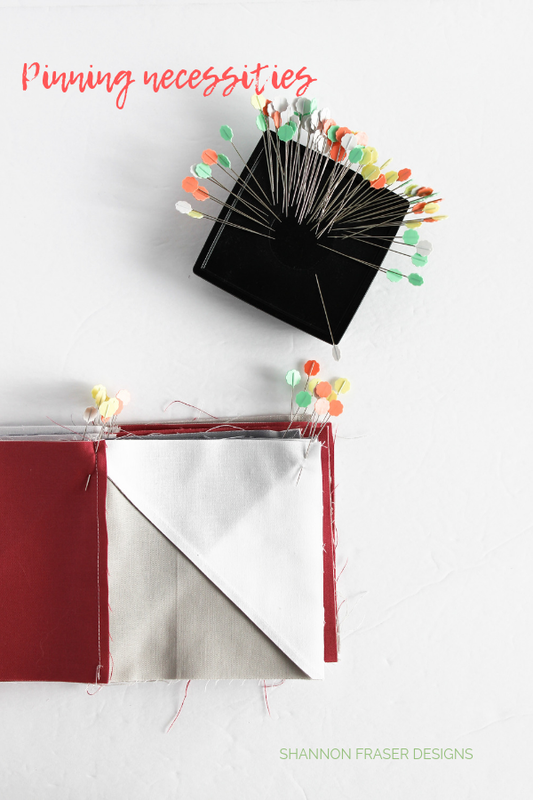 Obvious, I know, but the quality of your thread will determine the longevity of your project. Considering the amount of time quilts require, I’m not taking any chances. 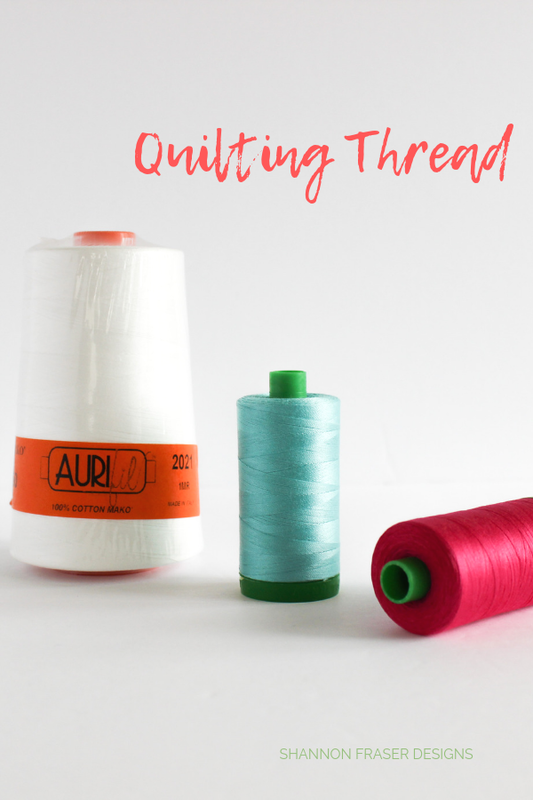 My current go-to is Aurifil Thread - 50wt for piecing and 40wt or 28wt for quilting. It has amazing strength, doesn’t shed as much as other threads (which is a bonus for your machine) and the colour options are out of this world. As for batting, my go-to is 100% cotton batting. I've learned over the years that all batting is not created equal. After a couple of disappointments with other brands, I now buy this batting by the bolt. But there's also polyester, a poly/ cotton blend, bamboo, wool (which I'm mildly allergic to!) and silk. So there you have it! 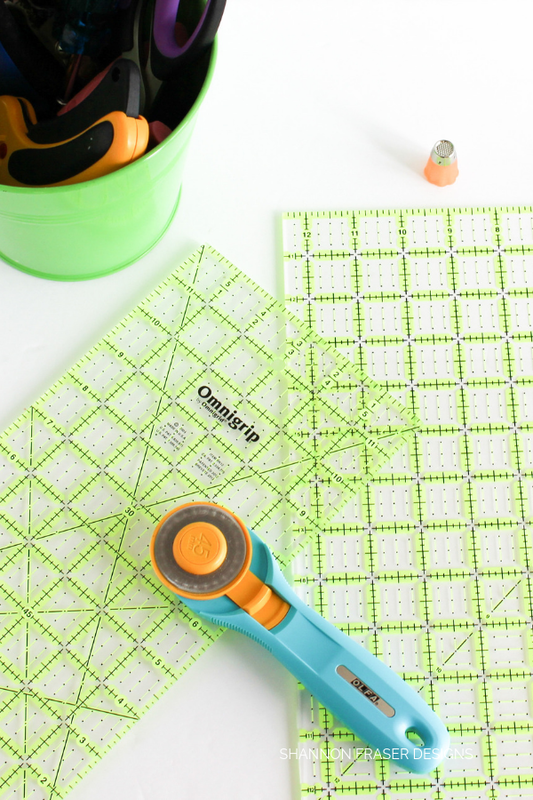 The quilting tools I can’t live without and highly recommend you have handy before starting on a quilt. There were a few other items that I could have added, but these are the bare essentials. And don’t feel you have to buy top of the line for everything, after all, you want to save money for all that glorious fabric!! 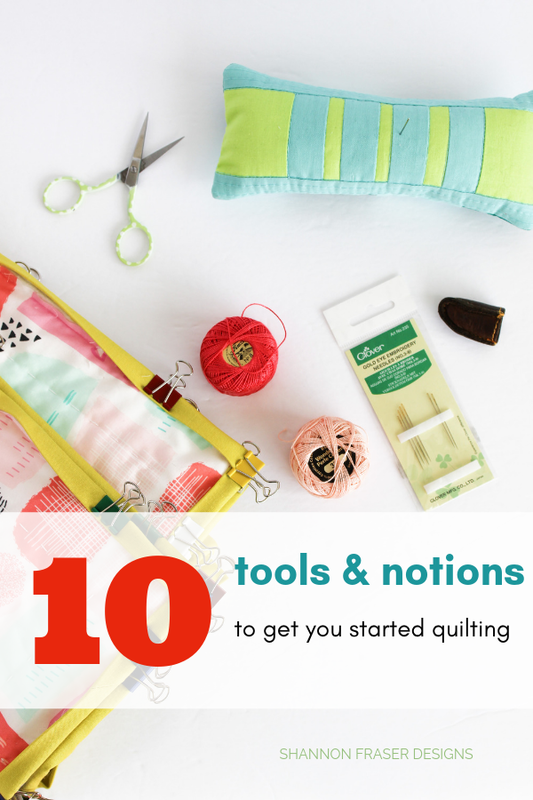 You can find more of my essential tools and quilting notions here. I would love to hear what your favourite tools are. Share them below so we can all get in on the fun! I think you hit all the basics. You mentioned board basting, and I would definitely encourage you to try it! It has saved my back and knees and made basting much more enjoyable! Awesome to hear, Marla! OK, I really do need to get on this board basting kick! This is a fantastic list! 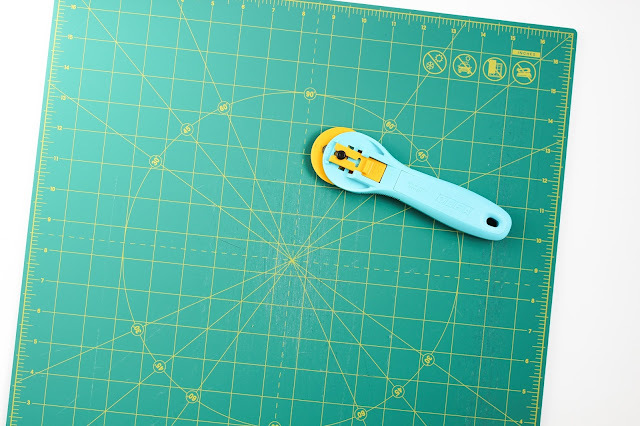 I have the same issues with my cutting mats. I've read where you can give them a soak in a bathtub to help with the healing, but I haven't tried it yet. And it's pretty embarrassing to admit that I haven't invested in a walking foot yet... I think I might try to find one this weekend. Oh - and no shame on not having used a walking foot yet, on some of my smaller projects I will skip it. Let me know if you find a big difference once you do give it a try! You shared useful post. I like your blog. Keep sharing. That is so sweet of you to say, Laxmi! I've got lots more tutorials in the works - stay tuned!